With mom visiting from Texas this weekend I wanted to make something we could nibble on while we nattered the night away. I needed it to be easy since my day is already chockablock with errands. Still foggy-eyed and clumsily stirring my first cup of coffee, I surveyed the kitchen. The figs sensually piled on the kitchen table immediately caught my attention. Figs. Glorious figs. Their soft, velvety texture and lusciously sweet flavor is incomparable to any other food. In early fall when their season is at an end these little fruits are asking to be transformed in to sultry jams, conserves and compotes. I clipped a stem of fresh rosemary, pulled out the honey bear and balsamic from the cupboard, and the wheels churned. 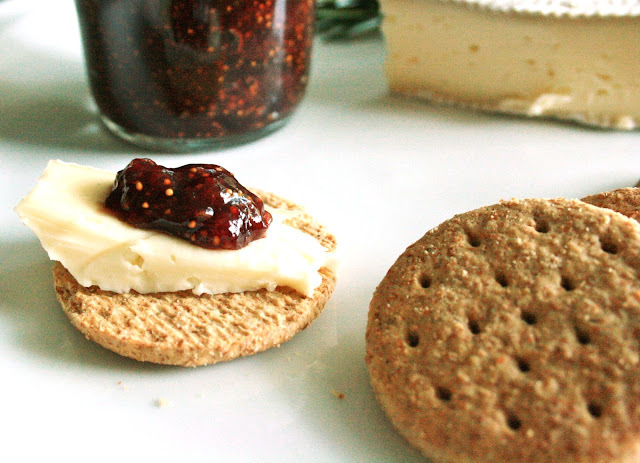 These flavors would be lovely made in to a sticky conserve and eaten with brie, soft wheat crackers and a hearty glass of red wine. It was time to throw it all in a pot and see what happened. What a sensation! This jar of figgy love will add a zing of class to your next get together. In a sauce pan stir together ingredients and simmer, covered, 20 minutes. Remove lid and simmer mixture, stirring occasionally until most of the liquid is evaporated and the mixture is thickened. Gently mash with a fork to break up the fig slightly. Mix cornstarch with a tablespoon of cold water and pour in to the pan. Let it come to a simmer and it will thicken immediately. Turn off the heat and transfer to an 8 oz. glass jar. Conserve will keep without sealing for 1-2 weeks. I do not see mine lasting longer than one chatty evening. YUM! As soon as I find some fresh figs I will be making this jar of figgy love! I have never tried a fig before although I've been tempted by them. Your conserve seems very approachable though and I'm thinking I'm going to need to put figs on the grocery list this week. Oh my word those figs are stunning! 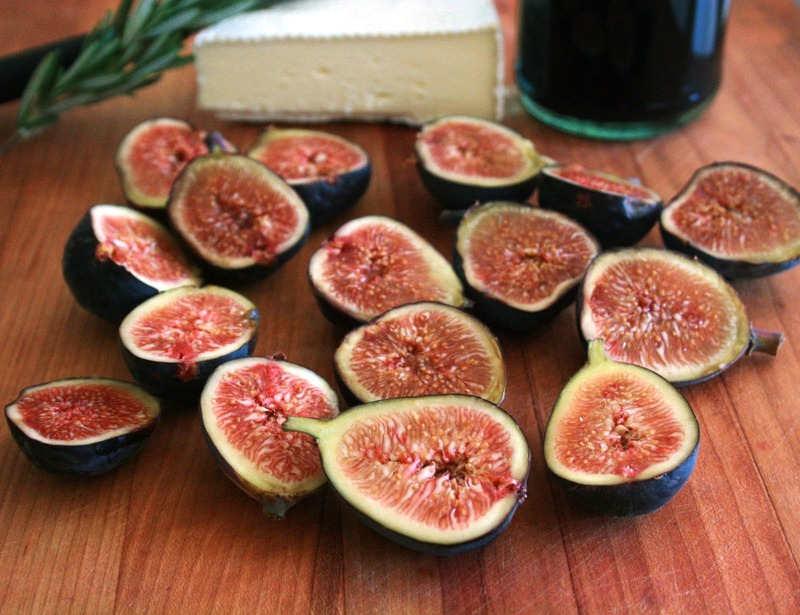 I have seen a few fig recipes recently, I will need to get some soon. 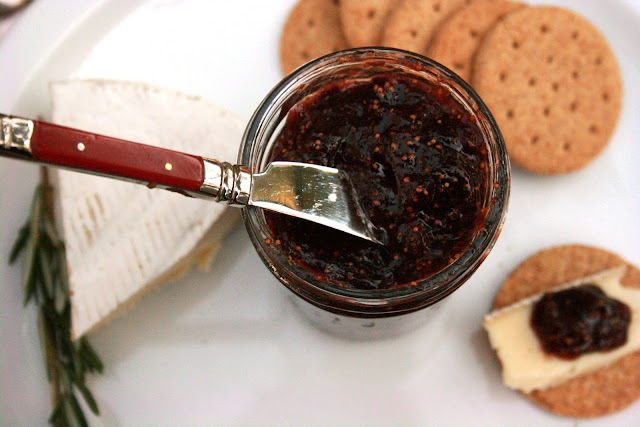 Your conserve is inspiring. Have a great weekend! This looks so good! I'm always excited for fig season and I just returned from Italy with a great bottle of balsamic that would make this really special. Thanks! What a deliciously looking conserve. I have to try that soon. Thanks for sharing! Now I know this is very good.. I wonderful accompaniment to so many things, cheese topping my list. I love the sound of this. I want to smear this all over foccacia with asparagus and pecorino. What a fantastic recipe! Love the flavor combo too. Sounds amazing!